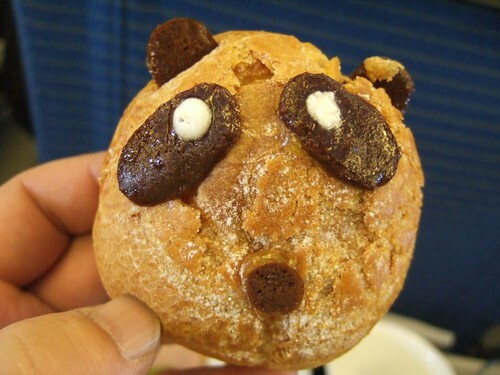 PANDA FACE CUTE COOKIE FROM AIR NIPPON AIRLINES, JAPANESE WEIRD STRANGE CUTE FOOD TREND, FUNNY DESSERTS IN ASIA. CHINA BUNNY SANTA CHRISTMAS CUPCAKES, WEIRD ASIAN DESSERTS, STRANGE CHINESE CAKES & CUTE FOOD PASTRIES. The Easter Bunny… meets Santa Claus? 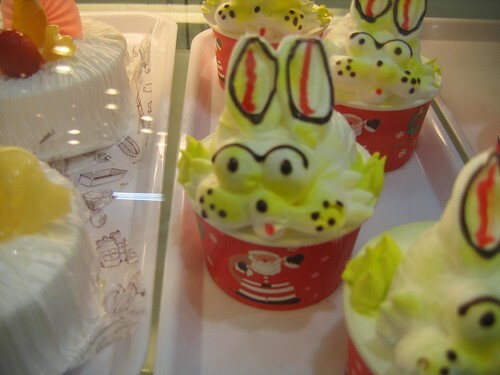 I suppose this Huangshan, China cute dessert is truly for all occasions! From iwastella. CUTE PIGGY CAKE FROM HONG KONG, CHINESE PIG BIRTHDAY CAKE WITH ANIMAL FACE, CHINA DESSERTS & CAKES. 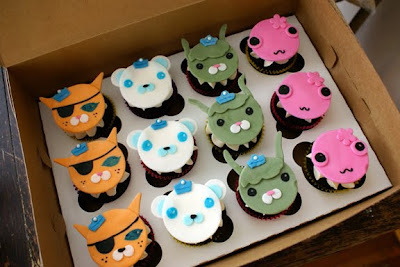 MEOMI OCTONAUTS, CUTE ANIMAL CUPCAKES. PINK BLOWFISH, FUN FISH CAKE DECORATIONS FOR KID’S BIRTHDAY THEME PARTIES. 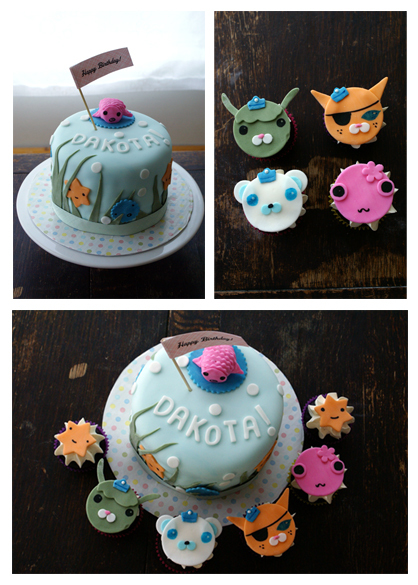 Coco Cake Cupcakes, the talented food artist who I’ve previously featured on this blog, created these lovely Meomi Octonauts characters for a birthday cake. Well done! 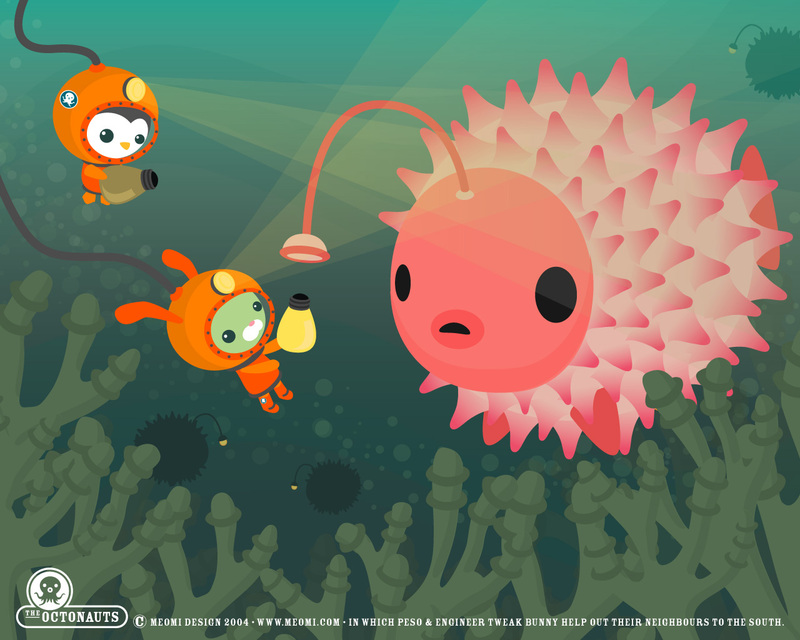 The underwater characters come to life via fondant and edible marker. You can see more delicious photos on her blog. – You can find cute cupcake recipes in my book, Cute Yummy Time, is now available for pre-order – coming out in October 09! Check it out! – To submit photos of cute food you found or made, click here. TEDDY BEAR AND BUNNY SANDWICHES, KID’S BENTO BOX SCHOOL LUNCHES, SANDWICH MOLDS FROM JAPAN, BENTO BLOGS. Amy Richardson of http://prettyprettyyumyum.wordpress.com also made these delightful sandwich molds! – My cookbook, Cute Yummy Time, is now available for pre-order – coming out in October 09! Check it out! TEDDY BEAR & ANIMAL PASTRIES: CUTE BAKERY GOODS FROM JAPAN, MELON BREAD, PANDA CAKE AND CHOCOLATE CAT DESSERTS. How were you introduced to the art of “cute cooking”? I lived in Japan for 18 months on a working holiday and was amazed by all the kawaii food on offer, bread rolls shaped like teddy-bears, Hello Kitty cookie cutters, Spongebob Squarepants bentos and so on. Where did you find this creation? Those bread rolls were from a bakery in Umeda, Osaka. They only cost about $2 each. How did it taste? I didn’t want to eat them because they were so adorable, but they tasted yummy and very sweet! Any other comments or tips? Visit Japan if you want to see the cutest food! The food levels of department stores have displays of macarons, cakes and tarts that are more impressive than in Paris. 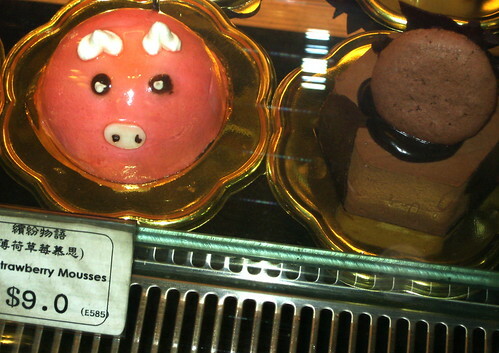 Most bakeries make animal-themed pastries as well. CUTE PUPPY AND BUNNY CUPCAKES: CUSTOM HANDMADE DESSERTS, BIRTHDAY CUPCAKE BAKERY OR CATERING. 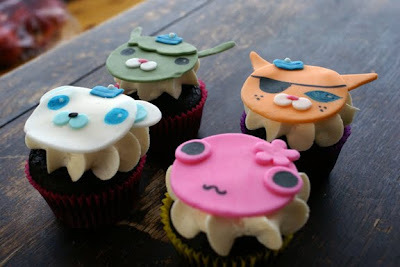 Here are beautiful animal cupcakes from Lilia!